At the International Conference on Liquefied Natural Gas in Shanghai, Novatek Gas & Power Asia and the Swiss-Dutch trading company Vitol S.A. announced the signing of the basic terms of the LNG supply agreement. 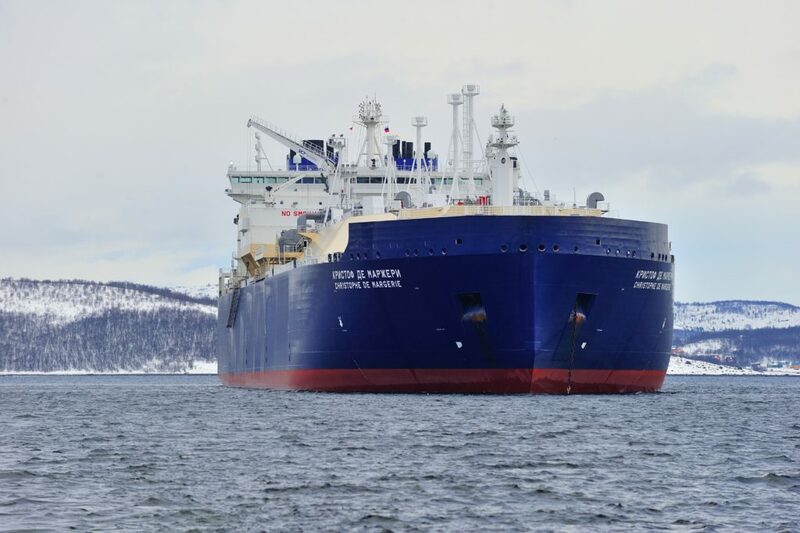 The parties agreed to enter a contract for 15 years with an annual supply of 1 mln t of LNG from the Arctic LNG 2 project, as well as from other projects of NOVATEK. 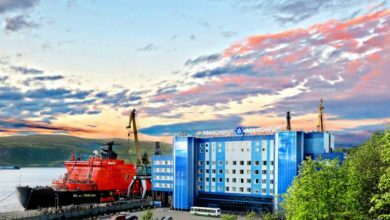 LNG will be delivered to the NOVATEK transshipment terminal in Murmansk region, which is planned to be built in the Ura-Guba bay by 2022. The operator of the terminal plans to become the French company Total. Lev Feodosyev, the company’s First Deputy Chairman of the Board, explained, that the sale of LNG at transshipment terminals will ensure the flexibility of LNG supplies worldwide and will increase the potential for creating LNG hubs in the Asia-Pacific and Atlantic basins. The Ministry for the Far East Development was renamed the Ministry for the Far East and the Arctic Development by Russian President Vladimir Putin. The Ministry received the authority to develop and implement state policy and regulation in the social and economic development of the Arctic. The Ministry is already in charge of two large projects in the Arctic area: the development of one of the largest copper deposits in the world, Peschanka, located in the Chukotka Autonomous Region and the creation of an offshore transshipment LNG complex in the Bechevinskaya Bay of the Kamchatka Region. 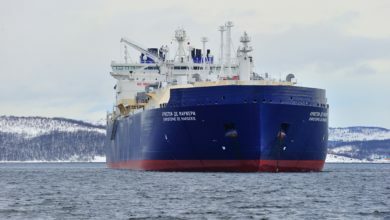 The complex is necessary for transshipment of LNG, which will be exported from Yamal LNG and Arctic LNG 2 plants to the countries of the Asia-Pacific region via the Northern Sea Route. The Ministry will also continue to manage the issues relating to the Arctic territories of the Far Eastern regions – Yakutia and Chukotka, as well as the development of the NSR and assistance in searching of specialists for the Far North enterprises. “There is much work for us to do, the tasks ahead are not easy, we will implement the plans”, said the head of the Ministry, Alexander Kozlov. The Ministry of Natural Resources and Environment of Russia has prepared a comprehensive analytical document presenting the mineral and logistical potential of the Arctic. It includes projects aimed at the development and processing of the mineral resource base, infrastructure development, activities in the shipbuilding, ecology, tourism and various industries. In order to implement the activities of the Comprehensive Plan, it was decided to allocate about 10.5 trillion rubles of non-government investments. 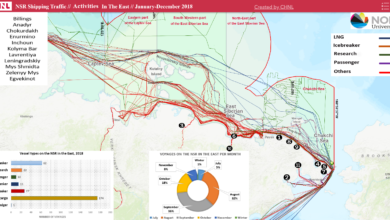 As a result of the work on the Comprehensive project, the possible volume of the cargo base of the Northern Sea Route by 2024 and further was analyzed. 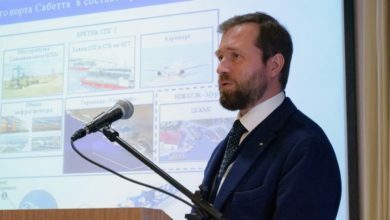 Sergey Khrushchev, director of the Department of State Policy and Regulation in Hydrometeorology, Arctic, Antarctic and World Ocean Studies at the Russian Ministry of Natural Resources explained, that the projected shipment volumes of the raw materials were evaluated in four groups of projects with different degrees of implementation. We took into account already working production facilities at the construction stage, and those, which are still being designed. minerals and coal. Among the involved ports are year-round ports of Sabetta and Dudinka, seasonal harbors of Numgi, Pevek, and Zelenyy Mys. An increase in the projected volume of cargo traffic via the NSR is possible with the timely implementation of all planned projects (the Taimyr coal basin, the Payakhskoe oil field), as well as the implementation of a number of promising infrastructure projects, in particular, connection Suzunsky, Tagulsky, Lodochnyy oil fields with the NSR. Only mineral raw materials may be transported along the Northern Sea Route up to 77 mln t, if the forecast for all 4 groups of projects are fulfilled by 2024. The Krylov Research Center in St. Petersburg began testing the model of the most powerful atomic icebreaker “Leader”. The trials are conducted in a 1,5 km basin imitating the severe Arctic conditions. The model itself has a five-meter length. Designers study how the model forces the ice, reacts to the storm, test maneuvering qualities and compliance with the declared characteristics. As it is known, the constructors of the “Leader” are tasked with breaking the ice of 4 m thick. Now existing icebreakers cope with 2 m of ice. The ability to pass through four-meter ice will provide year-round navigation along the Northern Sea Route. The nuclear-powered icebreakers of the new generation will be operated by Atomflot. The nuclear icebreaker 50 let Pobedy will carry out 5 tourist voyages to the North Pole this year. The first journey starts 13, June. It will take about 11 days – 5 days to reach the geographical point of the pole, then the icebreaker approaches the Franz Josef Land archipelago, and then it goes back to Murmansk. The press service of Atomflot Company notes that these cruises are very popular among foreign tourists and, as a rule, tickets are bought up a year in advance. The world’s largest nuclear icebreaker “50 let Pobedy” was built at the Baltic Shipyard in St. Petersburg. The ship started the transportation of tourists to the Pole in 2008. 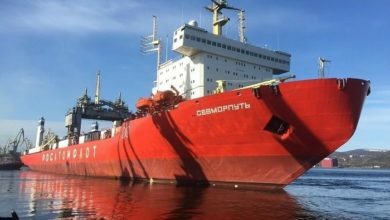 The Ministry of Industry and Trade of the Russian Federation has received and now it is analyzing technical and commercial proposals for the construction of 4 gas engine powered icebreakers to work in the Arctic. The work started after the Russian Prime Minister, Dmitry Medvedev, entrusted the Ministry of Industry and Trade of the Russian Federation, “United Shipbuilding Corporation”, shipbuilding complex “Zvezda”, “Rosatom” and “Novatek” companies in December 2018 to work on the construction of such vessels, taking into account the need to commission them until 2023. The prepared technical and commercial proposals include proposals for shipyards, terms and cost of construction. The announcement of the tender and the conclusion of a construction contract will be made based on the results of a detailed analysis of the proposals received. 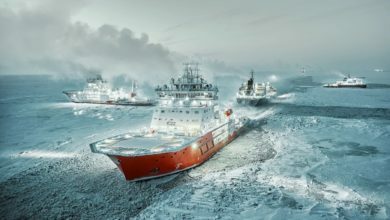 Icebreakers will be built in Russia.